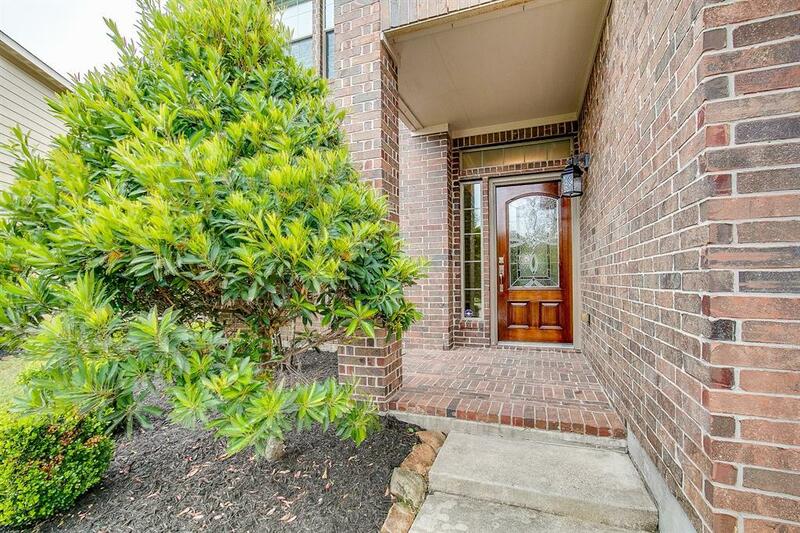 Gorgeous home in a quiet culdesac within a gated community. 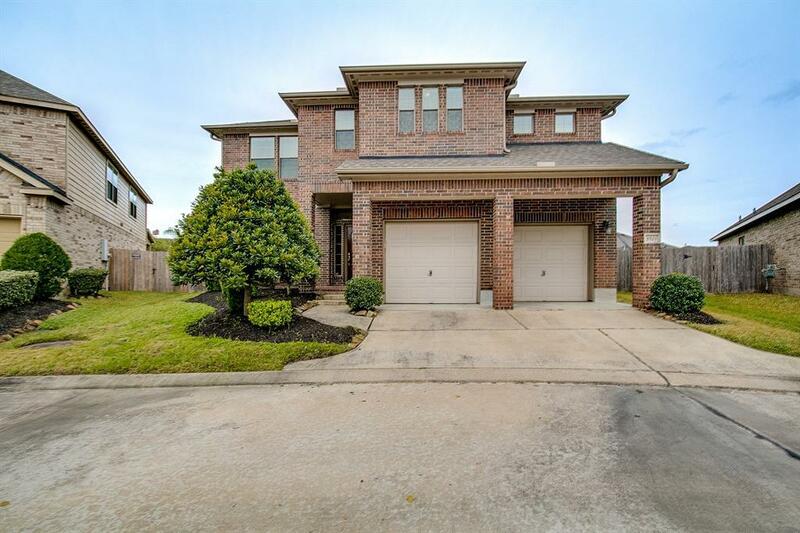 Huge 4 bedroom with 2 full baths and 1 half bath. Master bedroom is located on the 1st floor with huge master en-suite bathroom. His/her closets! Brand new wood floors through-out and freshly repainted. 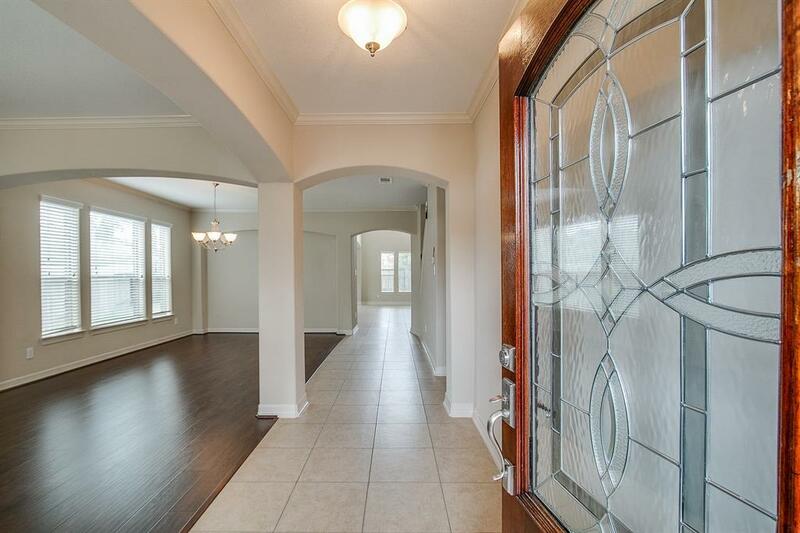 Grand entry with formal living and dining. Big utility room with cabinetry downstairs. Beautiful cabinetry in kitchen overlooking living area with tall windows and ceilings. Cast stone fireplace. Upstairs has a big game room and oversized bedrooms. Numerous ample sized closets all through home! Covered patio with mature landscaping!